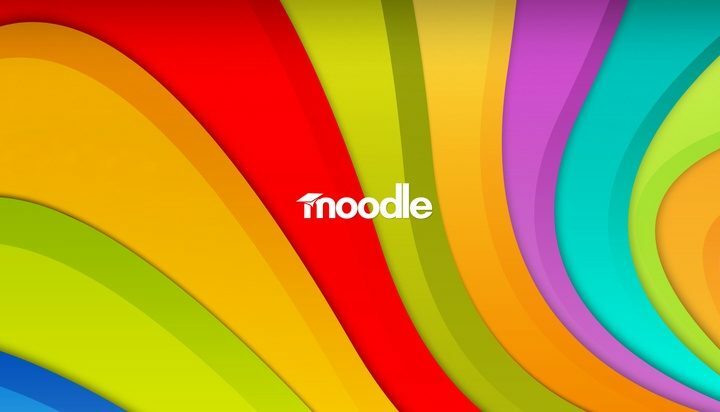 One of the most anticipated version updates for Moodle is here! 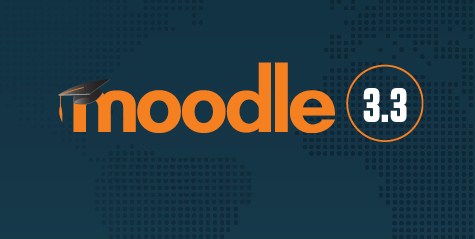 Moodle 3.3 is now in business and making heads turn in the e-learning world as we speak! The reason why it is awaited by the Moodle community as a whole is that it includes a lot of new features for users, teachers, and administrators alike. Moodle 3.3 is further endeared to its loyal user base because these features have been suggested by the members of the community themselves, since the last update. Understandably, all theme developers are now hard at work, making their themes compatible with the latest updated version of Moodle. A few of them however, have hit the ground running with Moodle 3.3-ready themes helping you leverage the great new features right away! Here we compile a list of the 10 early birds, free and premium, in no particular order that are set to work flawlessly with Moodle 3.3. 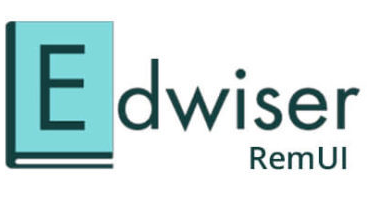 Of the premium themes available for Moodle, Edwiser RemUI is by far the most popular theme, with good reason. It features a clean user and administrator interface, improved single course page, dash slider, interactive scroll and such. 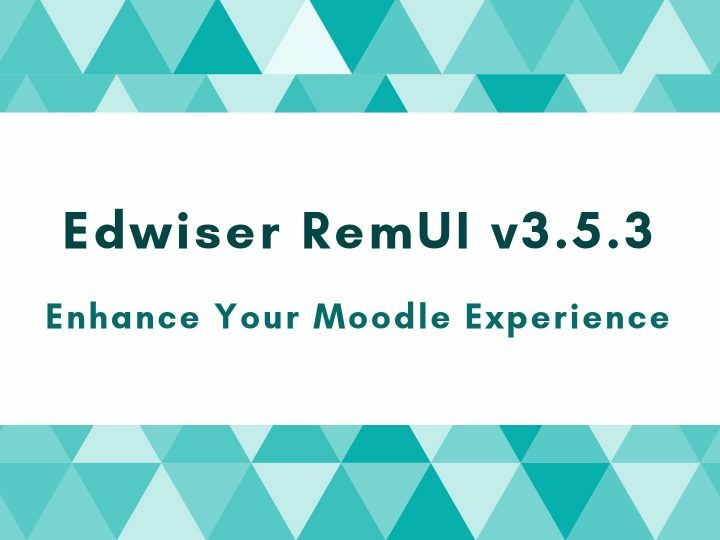 Edwiser RemUI has a full complement of 25+ features that make course creation and management extremely easy. The one-click course creation theme is priced at $99 per site. 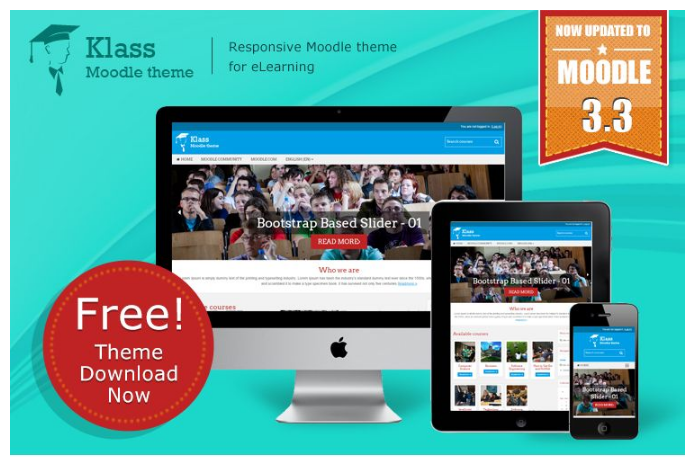 One of the most popular themes for Moodle, Essential needs no introduction. The one-fits-all theme is designed to suit e-learning sites as well as companies and businesses. Clean, customizable, and completely responsive, it is a great choice for setting up your e-learning site. There’s quite a lot in a name, as Adaptable rightly proves. The two-column display theme has myriad applications, from small two-course sites to huge, multi-site university installations. Extensive options for customization make Adaptable a neat theme for Moodle. Klass is a new-age e-learning website that is responsive across all devices and platforms. It allows for moderate customization on the website and integrates seamlessly with social media platforms for effortless marketing. 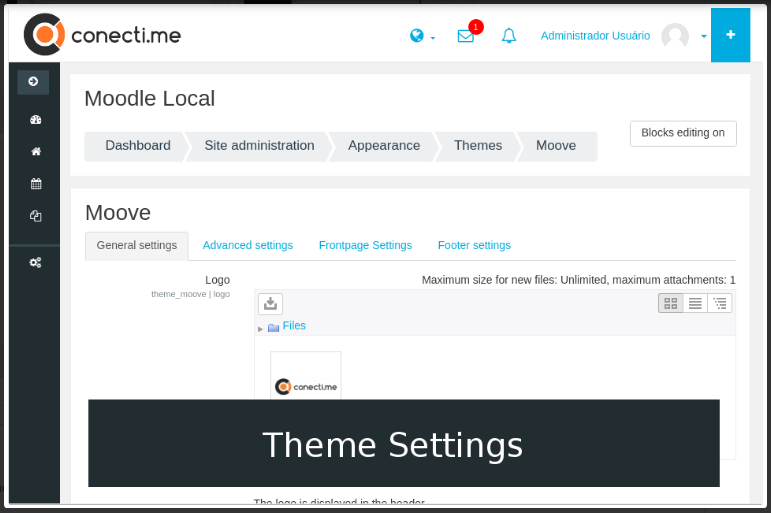 A child theme of Boost, Moove features an intuitive interface for users and administrators. 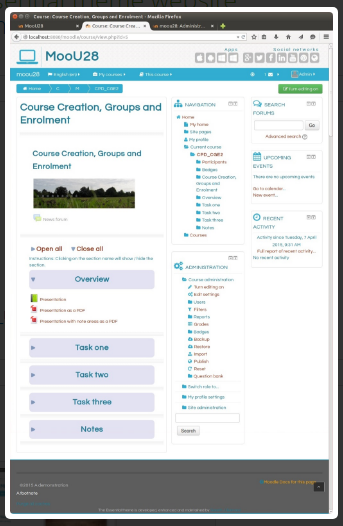 The learning-focused theme’s layout is specifically designed to highlight the course and course content. 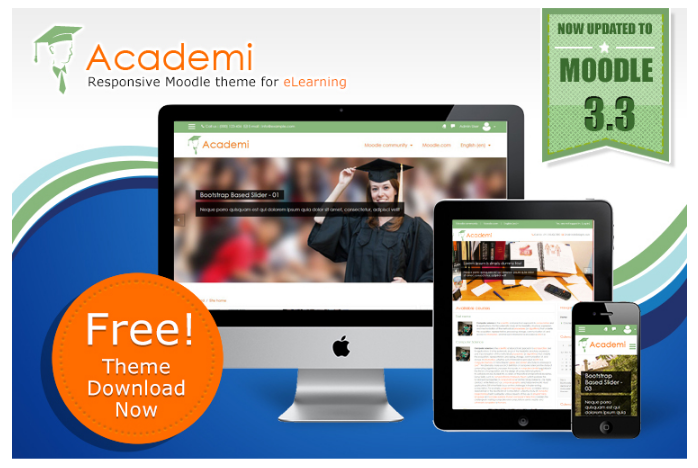 The Academi theme integrates customizable widgets, social media links, drop-down menus, and tabs and widgets with ease into your Moodle website. The theme is completely responsive and supports application across multiple fields. The motto of the Fordson theme is simplicity. Minimal design, plenty of visual cues that guide your users, and a clean and responsive approach make it the quintessential straightforward option for Moodlers. 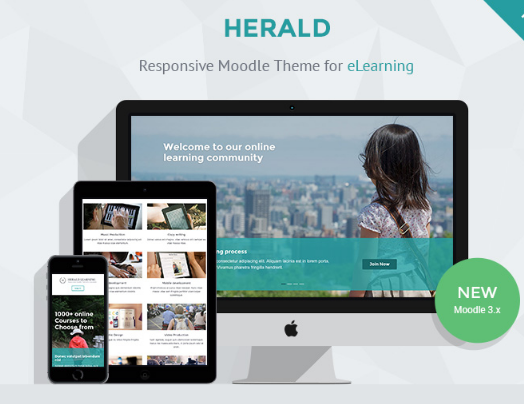 The Herald theme from E-learning Themes is a mobile-friendly theme with four variable colour schemes, dedicated sidebars, and widgets for displaying course content. The theme is available in two different versions, one of which is compatible upto Moodle 2.8 and the other from versions 2.9 to 3.3. The theme is available for a single site license of $159. 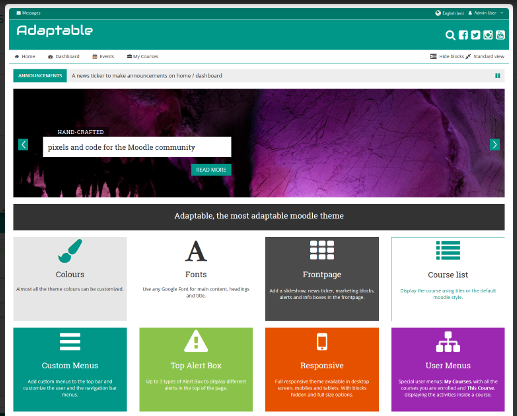 Waxed is a child theme of the core Boost theme for Moodle. Built on Bootstrap4, it features a minimalistic design that allows for customization, but requires knowledge of CSS/SCSS. 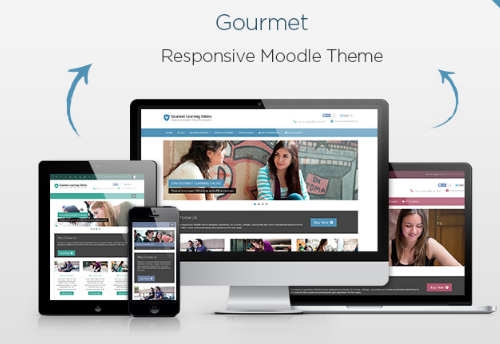 The Gourmet theme is designed for universities and colleges and offers substantial options for customization. It has a two-column display and custom menus and also integrates with Google Analytics to keep track of course performance. The premium theme can be purchased for a yearly license of $139 for one site. 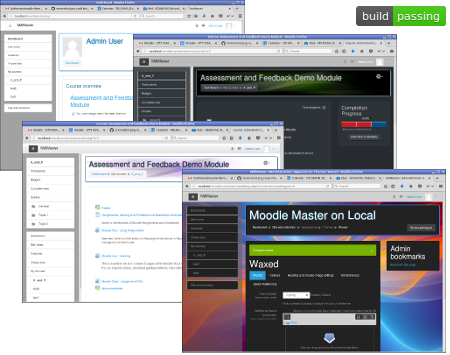 This completes the list of the 10 Moodle 3.3-compatible themes. All the themes specified have their individual pros and cons and hence are not mentioned in any particular order other than to give an idea of the first themes that ensure complete integration with Moodle 3.3. Been using any of these already? 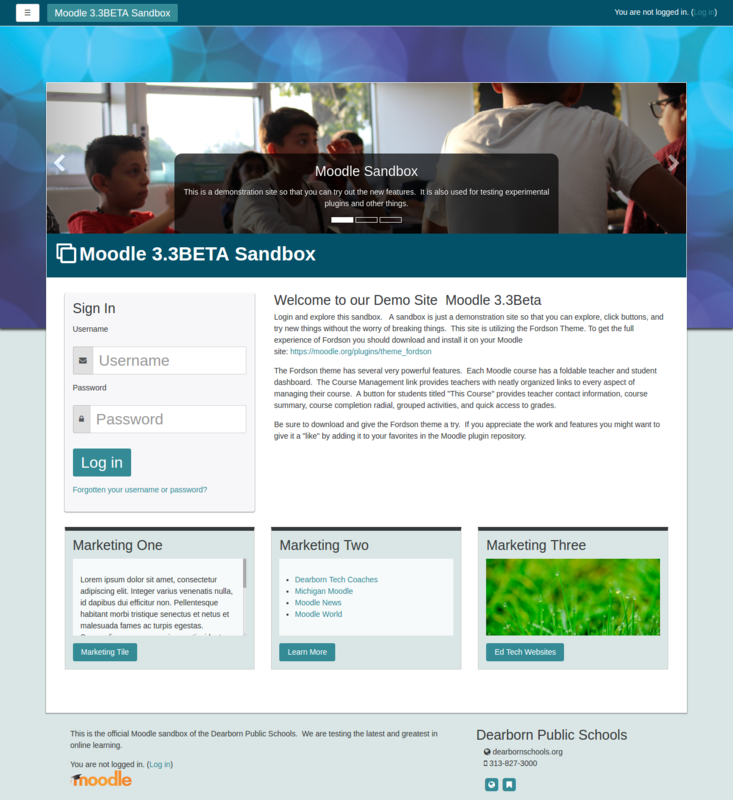 Or any other themes you would like recommend for Moodle 3.3? Let us know in the comments section below!